One of the hidden issues that many households don’t think about during the estate planning process are the tax consequences that apply after the death of a loved one. Wills, trusts, and guardianships are often considered and an important part of the estate planning process, but being able to navigate the sometimes complex tax laws that are associated in this area is also critically important. A FREE, no obligation consultation with a Clarksville attorney who specializes in estate planning can help you minimize the responsibilities your estate may face. Has a Power of Attorney Been Issued Yet? 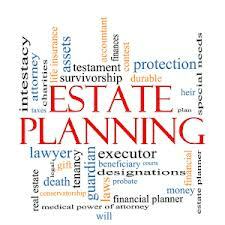 One of the essentials to the estate planning process is the issuance of a power of attorney to a trusted advisor. This allows for a designated individual to act on behalf of someone or the estate itself. A medical power of attorney is critical for end-of-life decisions to be made according to your wishes, but a financial power of attorney is also part of the estate planning process that cannot be ignored. Decisions must sometimes be made quickly and without question to who has the power to make that decision. That’s why having these powers of attorney in place for an estate ahead of time is so essential. A local Clarksville attorney can assist you with local issues you may face, help with concerns on a state level that may arise, and even provide assistance with Federal level concerns, especially taxes, that may be associated with the estate. 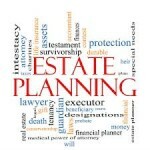 How Can a Clarksville Estate Planning Attorney Help Your Estate Today? Effective estate planning can limit the amount of probate issues that occur, create a sound plan of action that can be executed, and fulfill your last wishes. Powers of attorney are one of the most important and most overlooked parts of this process! A Clarksville attorney who specializes in this area of law can help you determine the best course of action to take based on your unique situation. For more information or for a FREE, no obligation consultation about your situation, then contact us right now to see how we can help you plan for this complex and difficult time. Request Free Initial Consultation Online or call our office today to schedule your in person free initial consultation with one of our experienced estate planning attorneys.